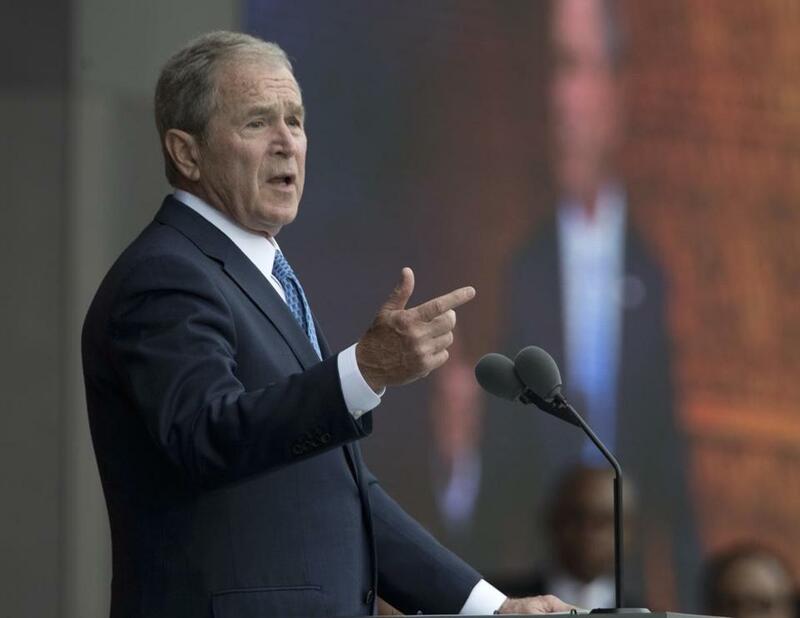 WASHINGTON — Former President George W. Bush said Monday ‘‘we all need answers’’ on the extent of contact between President Trump’s team and the Russian government, and didn’t rule out the idea that a special prosecutor could be necessary to lead an investigation. The Republican also defended the media’s role in keeping world leaders in check, noting that ‘‘power can be addictive,’’ and warned against immigration policies that could alienate Muslims. ‘‘I am for an immigration policy that’s welcoming and upholds the law,’’ Bush told NBC’s ‘‘Today’’ show. Bush’s comments came after a prominent Republican in Congress, Representative Darrell Issa of California, called for a special prosecutor to investigate whether Russia interfered in the 2016 presidential election and was in touch with Trump’s top advisers during the campaign. The former president, who is promoting a book of his paintings of wounded veterans, also took issue with Trump’s characterization of the media as an ‘‘enemy of the people.’’ Bush said the US won’t be able to convince authoritarian governments, including Russia, to open up their governments to media scrutiny if US leaders try to discredit their own press. On the issue of immigration and Trump’s recent attempt to ban travelers from seven Muslim-majority nations, Bush warned that if the US freezes out other countries and turns inward, that would only make it more difficult to fight the Islamic State group and other foreign extremists. ‘‘I think it’s very hard to fight the war on terrorism if we’re in retreat,’’ he said.